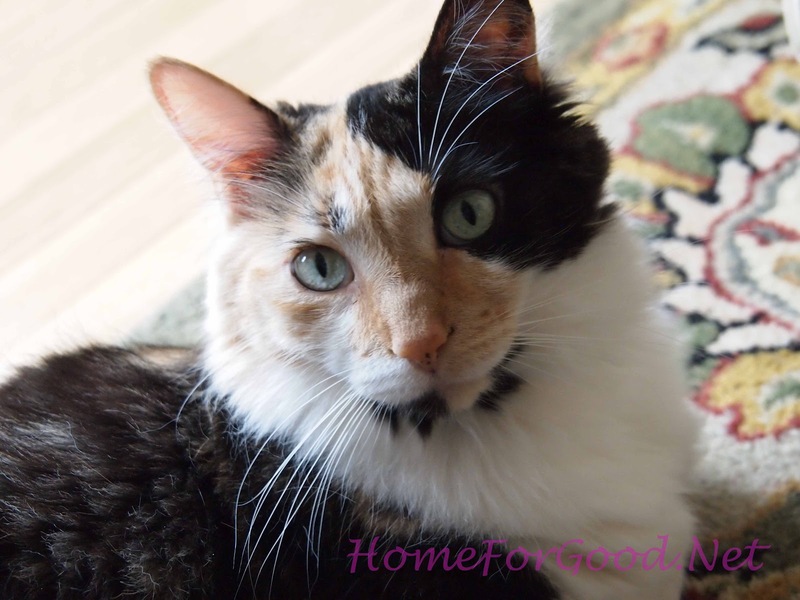 Today is May 1st, which is our precious calico cat's ninth birthday! This is the exact look she gave me when I asked if she would wear a party hat. She was also put out with me because I brushed her (which she seriously objects to), and clipped her nails (which she hates! ), so she was NOT about to wear a party hat. Oh, well, maybe next year? Callie is a very dear kitty. She loves to cuddle and purr--sometimes about as loud as a motor boat. I remember the day my daughter, Erin, and I discovered her, at just a few weeeks old, in a local pet shop. She was in a cage full of squirming little tumbling kittens, but she stood out from the crowd because she sat there staring right at us and "Meow-ing" very loudly at us with her little mouth as wide open as possible. We knew she was demanding to be taken home with us. So Erin sweetly talked her Daddy into letting us do just that. We've never regretted it for a moment. 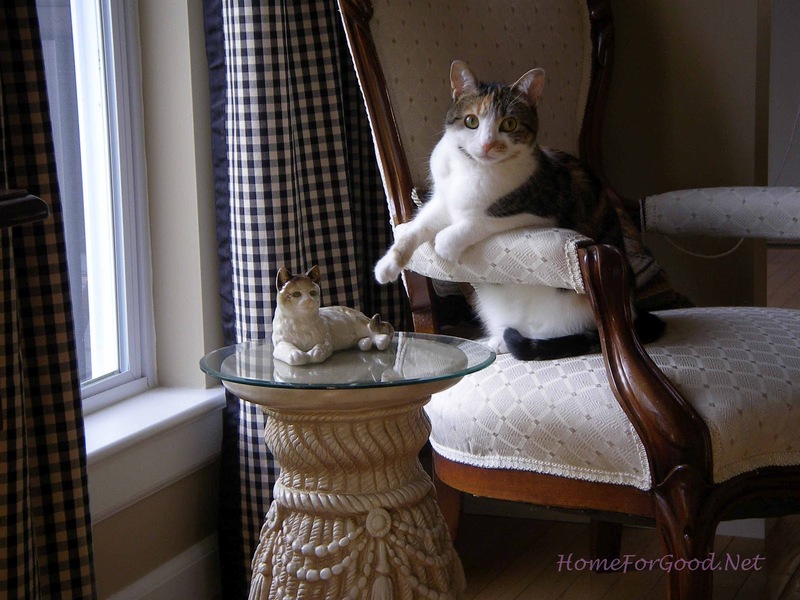 Callie also has a little "sister", Rosie, who is only two years old. Rosie is half Callie's size, is extremely timid around people except for my Sweetface and me, and yet she delights in bullying her big sister, Callie, and being a general pest. (Don't let that innocent face fool you.) Rosie also loves to "pose", which Callie definitely does not. So Rosie gets her photo taken much more often. Hopefully Rosie will be very nice and polite to Callie today for her birthday. But I am sure that I will spoil her with lots of kitty goodies, pets, and maybe make her a new little mouse stuffed with catnip--she loves catnip! Oh, and today is special for at least one other reason. It is my first ever real Blog post. I am SO excited about that! I look forward to exploring new ideas with you about creativity, decorating, homemaking, and even discovering great places to find vintage treasures. Hopefully you, my blogger friend, will come back and join our family again soon and become one of our welcome visitors. I think the kitties would love it, even if they pretend otherwise. I know I will! Just leave a note to say, "Hello!" Mary Beth Shaw, do keep us updated with any upcoming art shows please! Stacy, thanks for your support! Missing you! Wishing you many happy days working on your new adventure "Home for Good"! 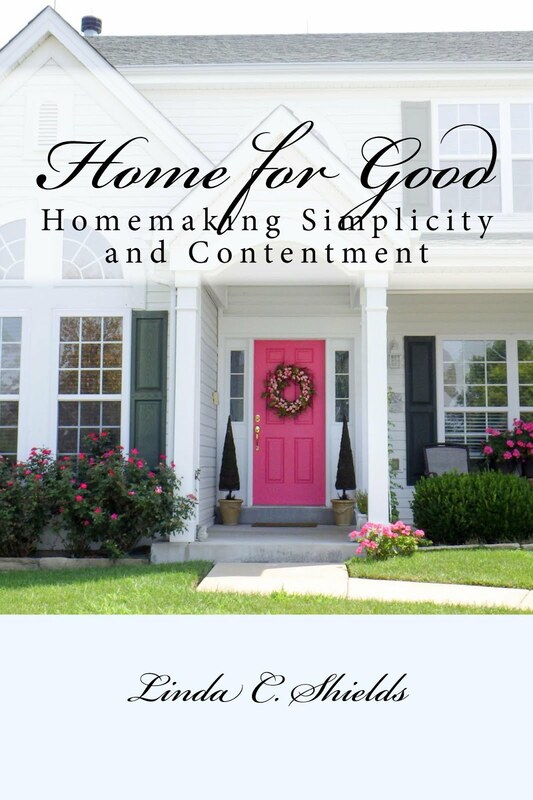 Looking forward to seeing Zuzu Petal on "Home For Good" very soon!